This last element is a special feature of the Hill House Early Learning Programme, and is a particularly effective ‘exercise’ for the developing brain. The children are offered educational ‘bits’ of information and introductions to new experiences or concepts. These activities reinforce previous learning, stimulate interest in learning more, and exercise the memory and the ability to handle concepts. Music plays a vital role in the curriculum. 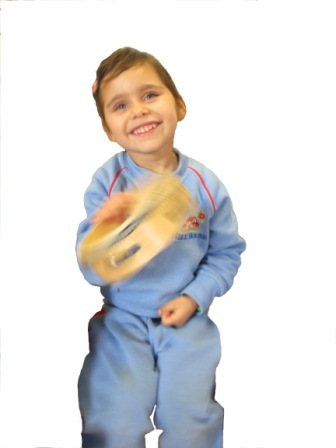 The children learn about pitch and tempo and are encouraged to take an active part in musical activities. They experience a wide variety of music styles and periods and by developing their listening skills and their ability to distinguish different sounds, the musical programme at Hill House has lasting benefits which extend beyond the area of music and help the children to be good listeners in general. The children are encouraged to experiment with different art media in the art classroom, such as paints, charcoal, pastels, and clay. They are able to develop their skills through fun art activities and are also provided with plenty of opportunities for free expression. Along with their love of learning we also encourage the children to develop a real sense of enjoyment and personal satisfaction in physical activities. Our physical education programme is designed to develop both their motor skills and coordination. The children learn to be aware of the space around them and to take part in physical activities with confidence. By focusing on basic skills and encouraging a sense of fairness the children develop a firm foundation on which to build their future sporting interests. The emphasis at this stage is firmly on enjoyment and taking part so that the children are able to develop good lifelong habits of health and fitness.